Exclusive to members of the NOD Corporate Leadership Council! Building a disability inclusive workplace doesn’t happen overnight, and it goes beyond adopting a few policies. The companies doing this best are changing and evolving their culture. Through NOD’s Spring Learning Series, Council members will learn how to lead a sea change of corporate culture at your company, paving the way for more people with disabilities to join your workforce through a two in-person events. Join us for a panel and networking happy hour as we look under the hood of businesses that are excelling at building disability inclusive cultures through their Employee Resource/Affinity Groups (ERG/AGs). Meet fellow diversity & inclusion leaders and learn about everything from establishing an ERG to using your ERG to innovate your business practices. Cocktails and light refreshment will be served. Develop strategies to build trust and encourage employees to self-ID, while enhancing the work environment. Learn from top companies that are setting the pace. Widen their professional connections through networking. Council members will also learn how easy it is to embed D&I into existing corporate values, leading to a truly disability inclusive corporate culture that can attract, retain, and engage diverse talent and businesses. 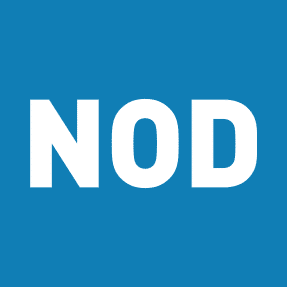 Register: Employees of NOD Corporate Leadership Council members can email events@nod.org to save their place. Seating limited: President’s Circle members receive four seats; Corporate Circle members receive two seats. Not a member of the Corporate Leadership Council? Find out about the many benefits of joining today! Sponsors gain access to HR and D&I executives and managers from the country’s top companies and exposure as a disability inclusion champion. Plus, receive exclusive speaking opportunities that brand your company as a thought leader among peers. Learn more: Contact NOD’s Associate Director of Development, Julia Metro.